"We've got so many different types of crackling snacks it's ridiculous," says Sophie as we immediately place the triple-cooked duck in our basket for the trip home. 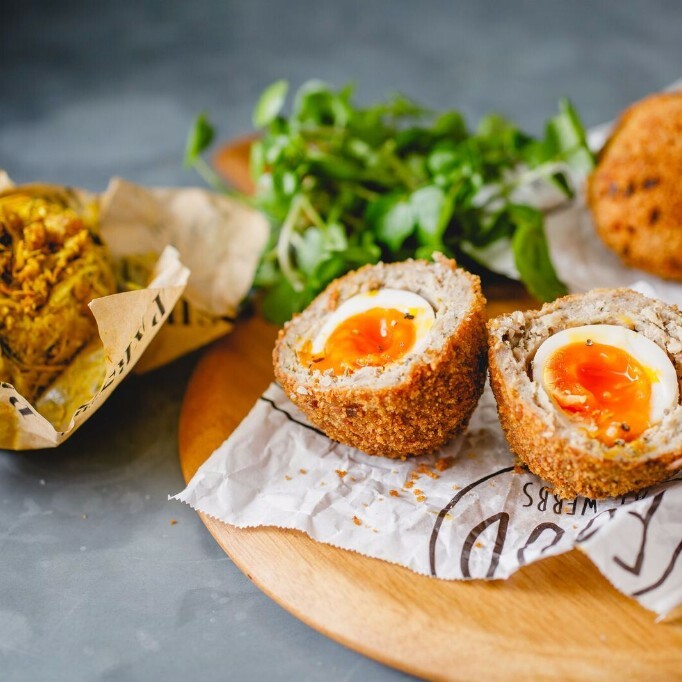 "We're also the most northerly supplier of Wolff Evans scotch eggs, which retain their runny yolk despite being served cold — you still get the amazing texture of the egg without having to actually go to the trouble of cooking it yourself." "Cocktails and everything related to cocktails have been extremely popular already this year. 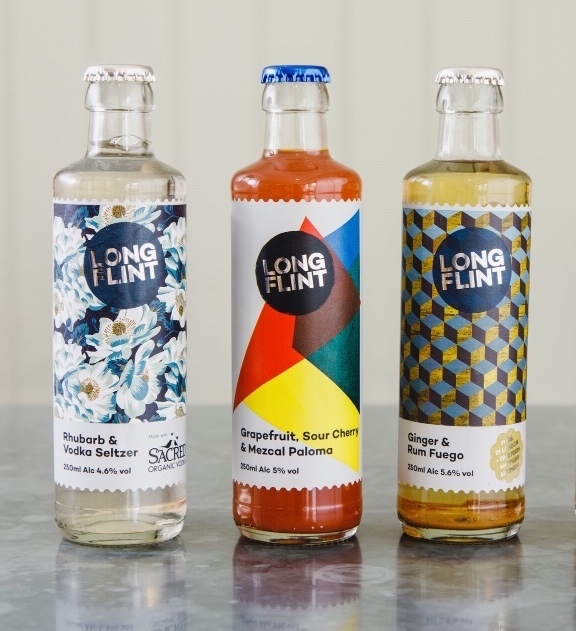 Longflint's collaborated with mixologists to create individual, handcrafted cocktails like their Rhubarb & Vodka Seltzer." Webbs has four to choose from, and we've re-arranged our fridge accordingly. "Also, we've got Bursting Bubbles, which you just add to your obligatory Christmas Prosecco for proper festiveness." "All the meat from our butchers, Buxtons, is from small farms with excellent provenance, and orders for Christmas are open." And on the all-important turkey debate? 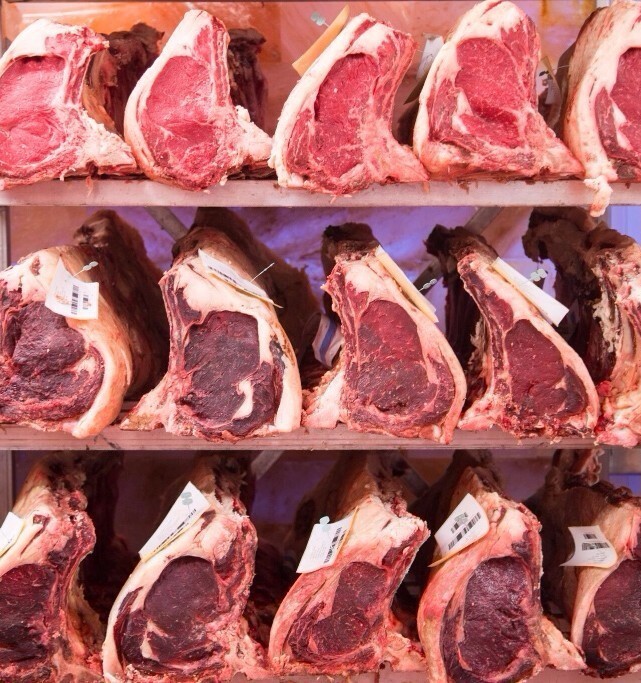 "I'll be ordering a rib of beef this year — they've got one of Europe's largest Himalayan salt-ageing rooms and you can specify how many days you want your order aged for. After much discussion with the butchers, I'm going for 32-days." 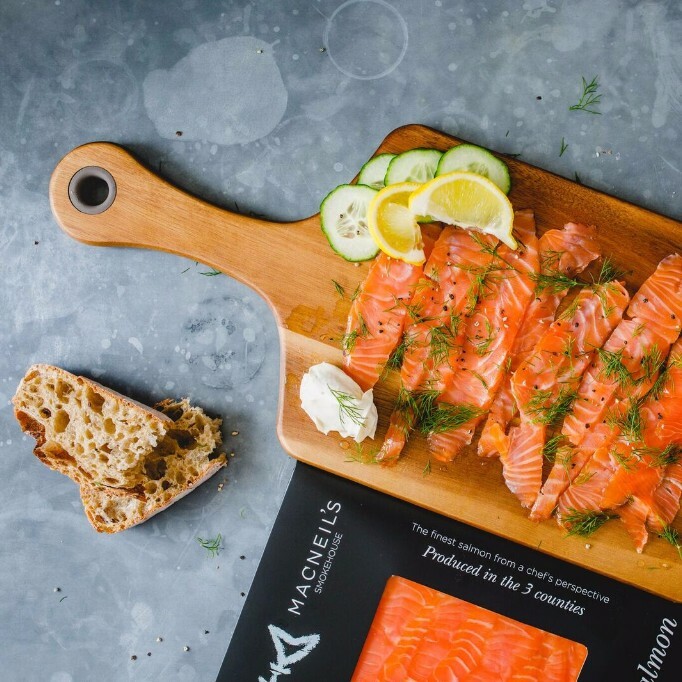 "To bookend the feasting: Macneil's smoked salmon is local, award-winning and absolutely fantastic. For their cured version, they even use Hereford cider. I've had a lot of salmon and this is the most delicious. Then there's our cheese counter— we've got over 100 cheeses including a truffled brie. And my absolute favourite, Vacheron Mont d'or, which unusually we stock as a full wheel — great for sharing." And on the serious subject of honey: "We've got a full range — including foodie gifting nirvana — a gorgeous local borage honey. 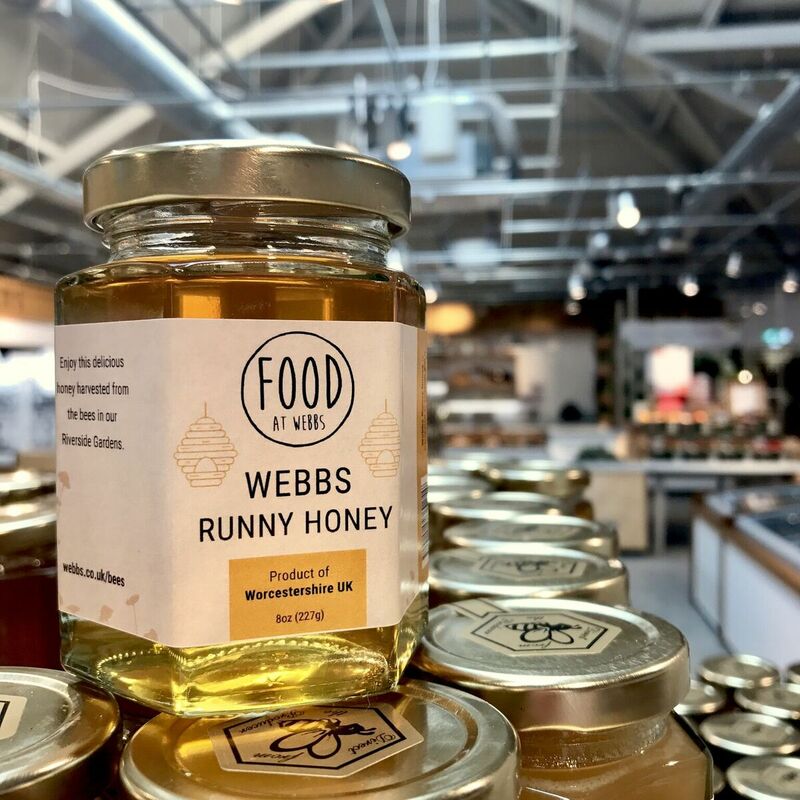 We also stock two that we make — we've got actual beekeepers looking after hives here that have been going for four years now, producing honey from the flowers in our Riverside Gardens. It's made from the nectar of blackberry, clover, lime, willow herb and balsam." Fancy! 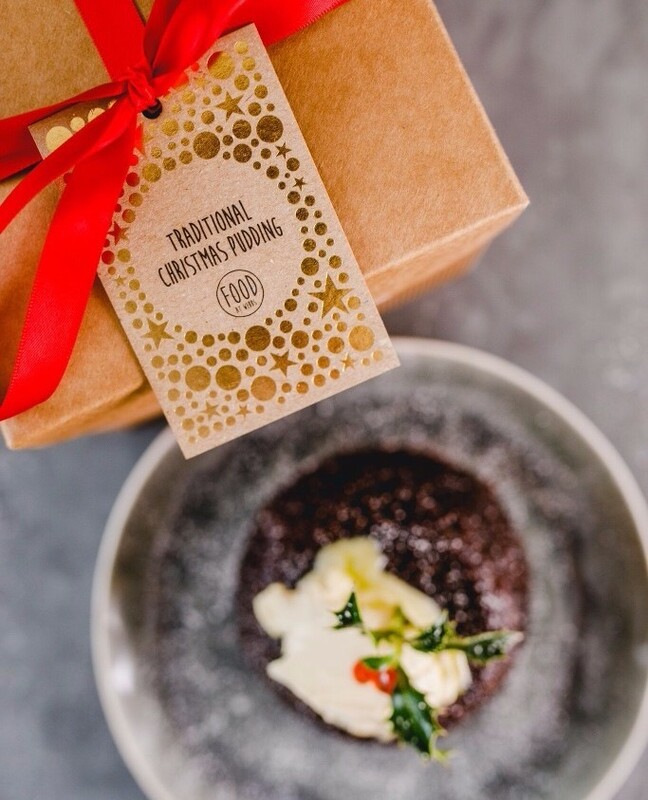 "We've been working with a local producer to develop our own Christmas puddings since April. It took four rounds of taste tests to settle on the eventual range. All the puddings are made with proper suet and use a different local beer or cider to plump up the fruit." And the pick? "I love the chocolate and cherry pudding which contains a porter made by Lake House Brewery just down the road in Malvern. We've collaborated on everything from flavours to packaging — I'm so pleased customers really like them." Food at Webbs is located at Webbs, Wychbold just off the M5. 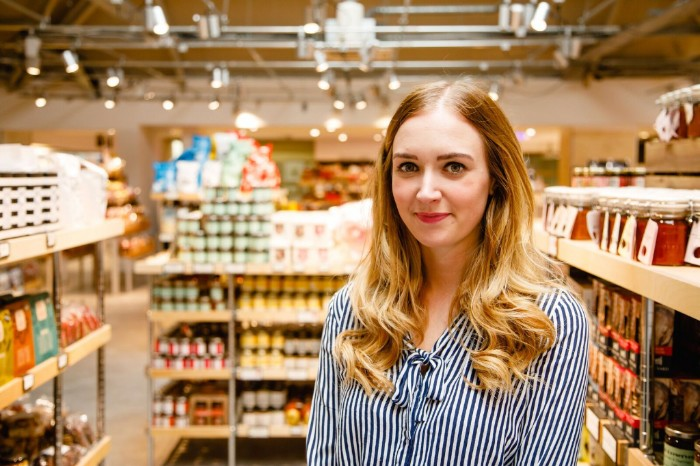 Come off at Junction 5 for all of your Food Hall needs. And mention "I Choose Birmingham" when paying to get 10% off those Christmas puds. If you follow The Wilderness on Twitter, you'll already know something both brilliant and nutty is coming. Not content with opening one restaurant in 2018, the team have secured a second set of premises (in the JQ, where Two Cats used to live). And they're launching the most irreverent of pop-ups to get you through December without reference to a certain city centre market, which may or may not be opening today. Bar Humbug will be serving festive inspired cocktails, with drinksy king, James Bowker, captaining the ship. 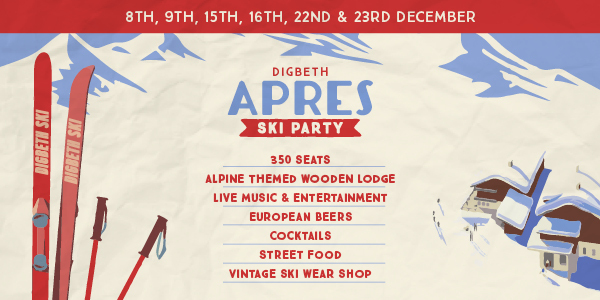 Guests can choose from an a la carte menu or go Full Santa – a progression of four cocktails — including anty drinks like Just A Snowball, with snacks from The Wilderness (£50pp). Rumours about decaying Christmas trees, bad Santas and frankly bizarre twists on all things festive are rife. 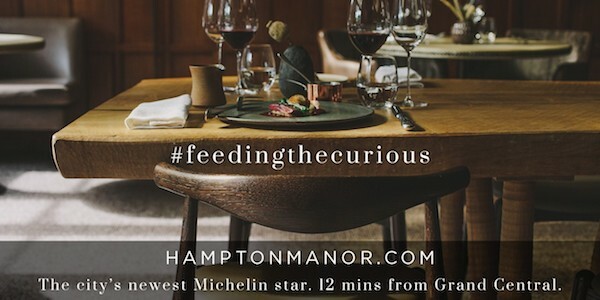 Opening November 30, Thursday to Saturday evenings, bookings launched today. It's almost like we plan these features. 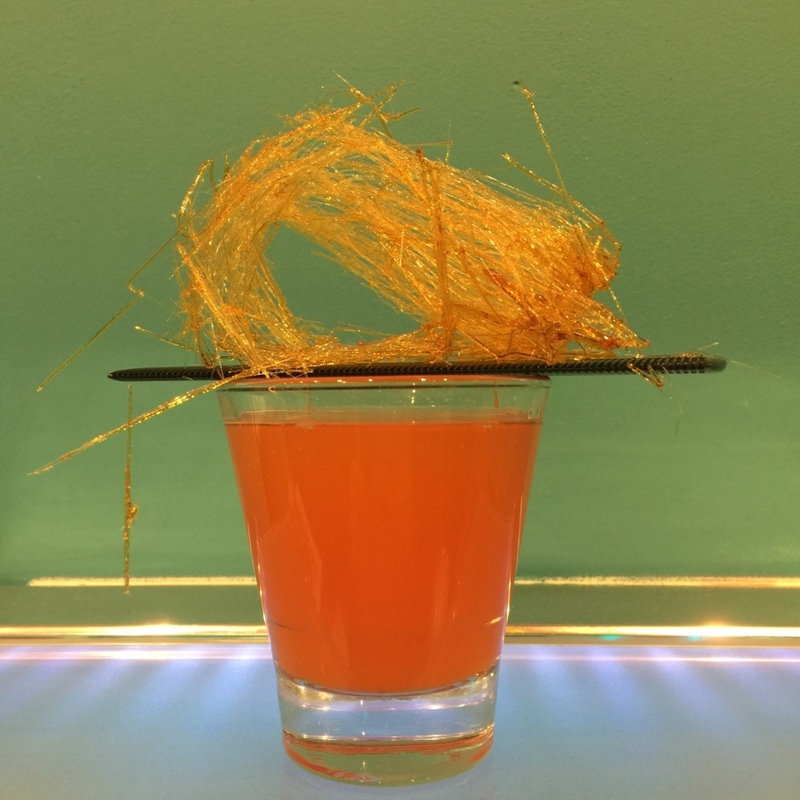 Yep, it's a cocktail conceived to look like the oranging leader of the free world — obligatory flourish of golden hair, or spun sugar, included. And the Aperol-based number is indeed designed to leave a bitter taste in the mouth. It's part of the challenging menu for Protest Feast: The F Word, a one-off experience about female strength and solidarity fuelled by food, song and performance. Though referencing Greenham Common, the dinner is a wider metaphor for the women’s movement and pays homage to some of the key figures and protests which have shaped where we are in rights, equality and visibility in 2017. And it's the project of Kaye Winwood, which makes it mind-bendingly awesome by definition. From 3pm on Sunday at mac, tickets are £30. Get there. It's time to treat yourself to that new pencil case — school's back! But this time it's got a distinctly junipery flavour, and no maths. 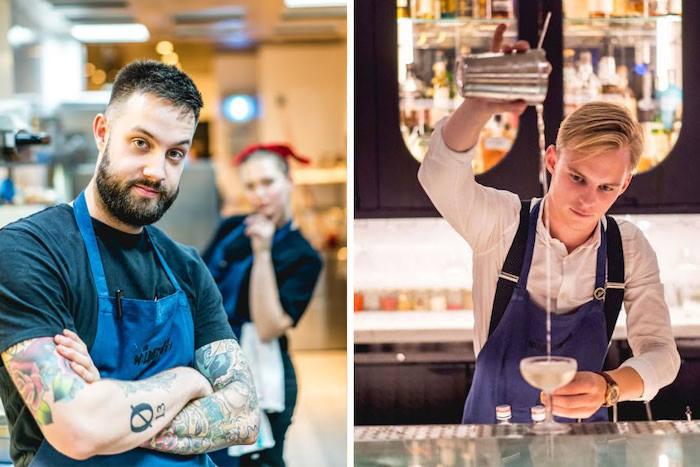 The Distillery is launching a new gin school, with sessions lasting from an hour to 150 ginny minutes. In the news everybody wanted to hear, all classes include a G&T on arrival — so no awkward waiting for that first pour. 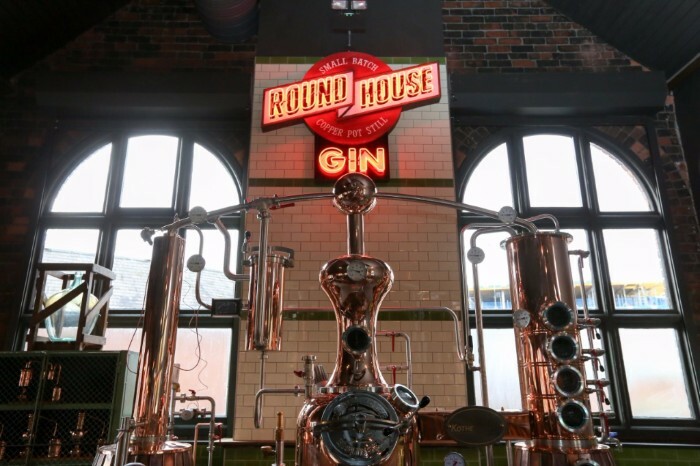 Opt for the bronze package 'general intro to distilling', with gin cocktail lesson, a history of gin, and a closing G&T (for just because reasons) for £20 per pupil. Or go right up to the glitter ball of a Gold+ option at £70 a spot. Here, in addition to the basics, you make, bottle and badge your own gin for keeps, using copper stills and all of your nous. And a three-course meal follows, again for just because reasons. 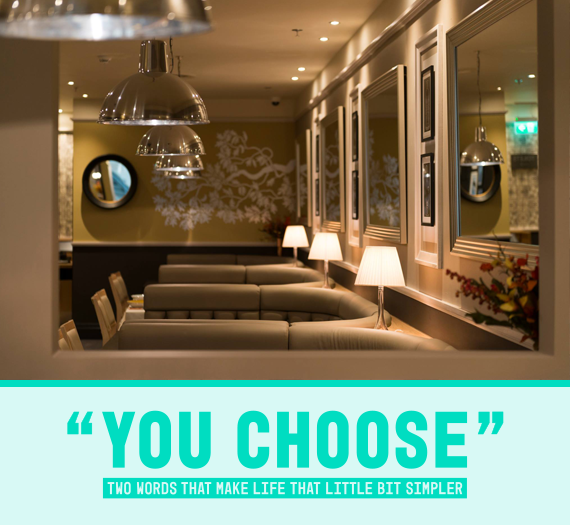 Enquire and book for a minimum of five, max of 40, by emailing: hello@thedistillerybirmingham.com. Snogs behind the bike sheds at your leisure. Sign up to our younger, wiser sister title Bell & Smokey for your chance to win a necklace worth precisely £155, from JQ jeweller, Rhiannon Lewis. Digbeth Arts Market is launching an art and design exhibition this Saturday in Cranked Cafe and Digbeth Arts Gallery Shop. Until December 8. 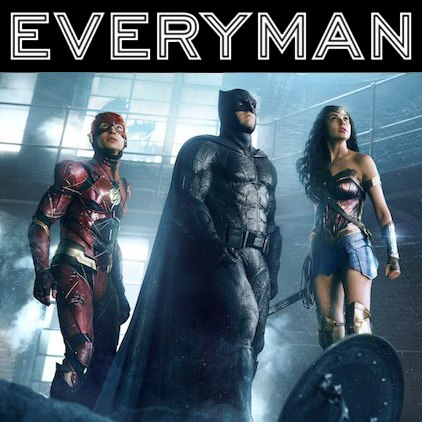 Movie in the brewery? Okay then! BeerYeti.com have teamed up with Two Towers Brewery for a screening of Beer Hunter at The Gunmakers' Arms Jan 27. 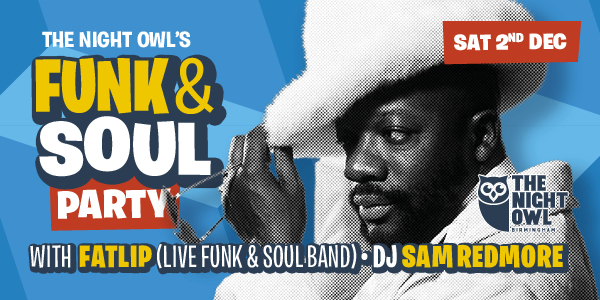 Tickets are £13. Ice Skate Birmingham opens today, and for the first time, it's down Millenium Point way. Great news if you like ice skating. Kind of irrelevant if you don't. "Gin and drugs, dear lady, gin and drugs."